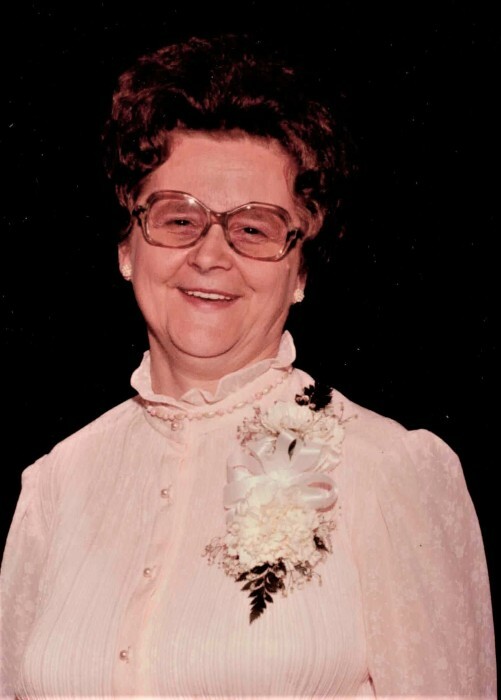 WELLS, Catherine Williams; 83, of Henrico, VA; passed away on Thursday, March 21, 2019. She was preceded in death by her husband, Donald Williams; a daughter, Nancy Williams Mosher; second husband, William Wells; and a son, Barry Glenn Williams and his wife Erica. Catherine is survived by her son, John Williams (Robin), and daughter, Carolyn Williams Lewis (James); 12 grandchildren and 17 great-grandchildren. She loved to dance and spend time with her beloved family. The family will receive friends, Tuesday, March 26, 2019 from 4 – 8 pm, at Monaghan Funeral Home, 7300 Creighton Pkwy., Mechanicsville, VA 23111, where a funeral service will be held, 11 am, Wednesday, March 27, 2019. Interment will follow at 2 pm at Greenwood Cemetery. In lieu of flowers, donations can be made to Lewy Body Dementia Association @ www.lbda.org.